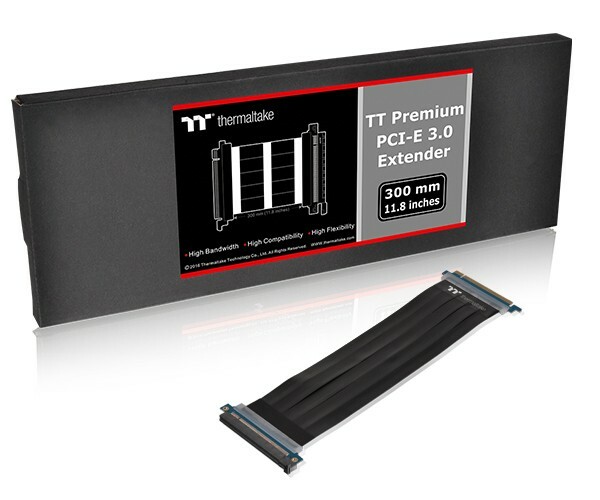 Thermaltake has launches the latest Thermaltake TT Premium PCI-E 3.0 Extender series with ultra-excellent quality to meet the most demanding system. Features like, extreme high-speed cable with highly-routable and foldable design, EMI shielding with conducting polymer, special cable protector are crafted for exceeding your expectation. Available in 300mm, 600mm and 1000mm length, the TT Premium PCI-E 3.0 Extender series supports a wide range of GPU solutions and matches the cable included in any chassis.